Product #33211 | SKU Z-EVPC | 0.0 (no ratings yet) Thanks for your rating! Zacuto has created a custom power video cable combining a BNC with a 2 pin Lemo to powertap. 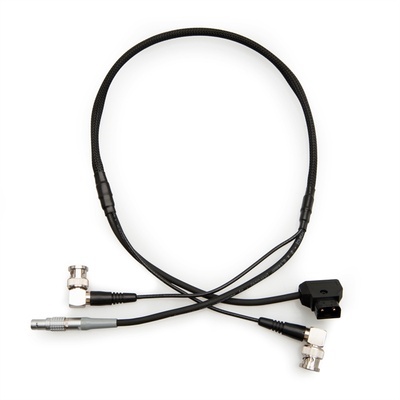 This handy cable allows you to power the Gratical Eye and send the SDI signal from your camera with the BNC connector. The power is sent from a P-Tap via a 2 pin Lemo connection to the Gratical Eye. At 30“ long, it’s just the right length to accommodate most broadcast cameras on the market. A braided sheathing keep cables neat, while the ends are free to be configured for your setup.